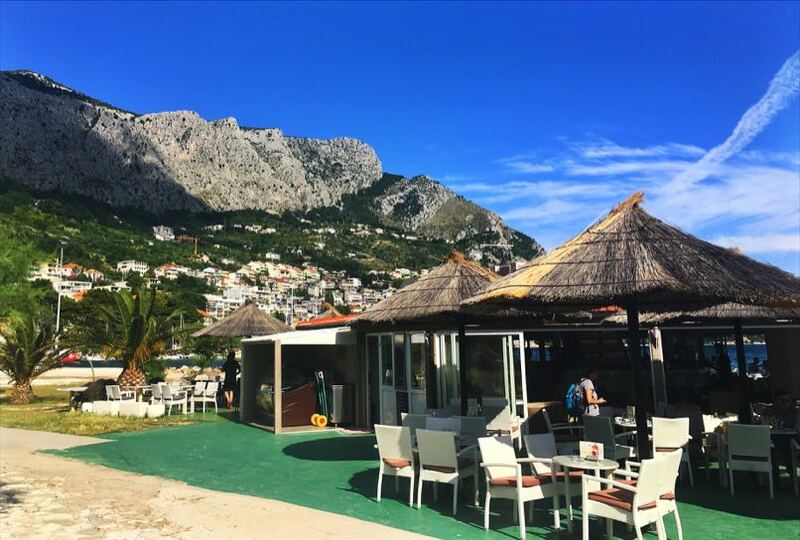 We were blown away by the total beauty of Omis. Particularly impressive is the backdrop of the mountains and the beautifully clear and clean Centina river which flows through it. 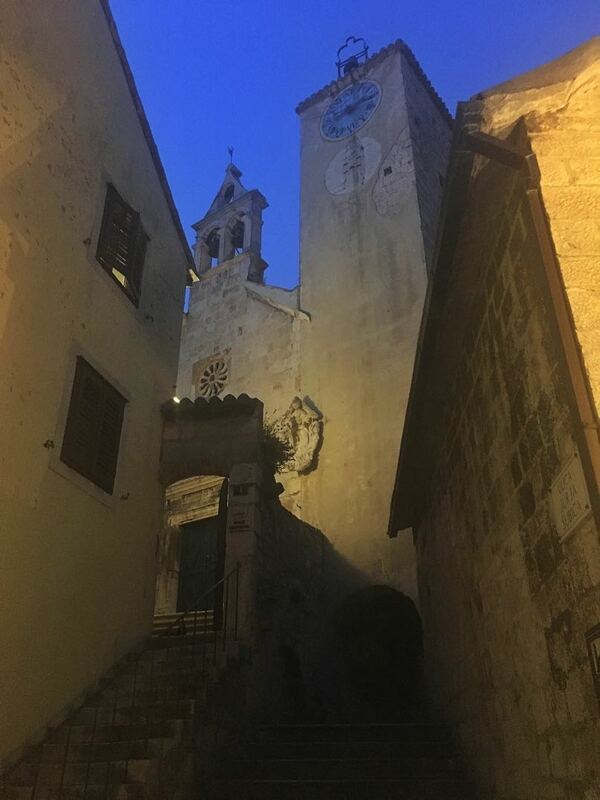 It’s a town full of history and character with a 13th-century castle partway up one of the mountains and a fortress at the top of a very steep hill. 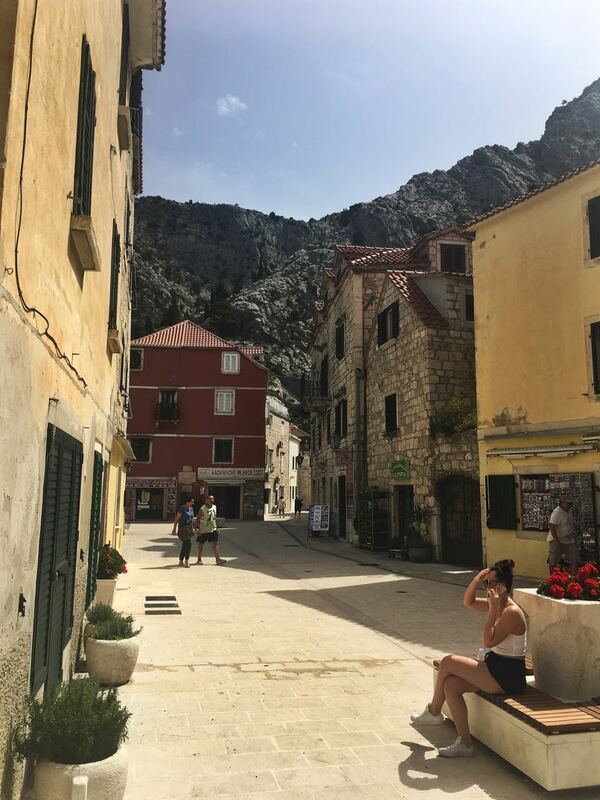 The views from the top of the town and harbour are stunning although the climb up can be a little hard with steps that are rough and uneven in places. This town has all you could wish for. 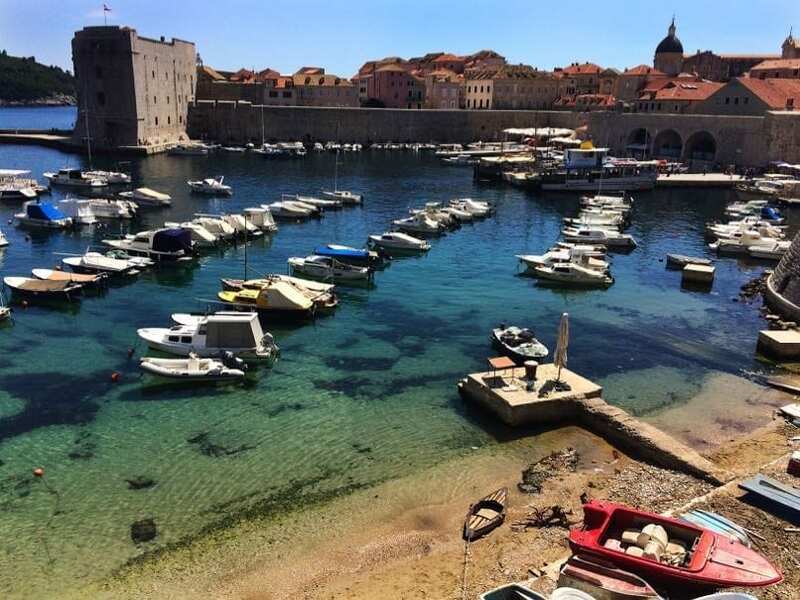 There are plenty of restaurants, bars, shops, lovely walks, boat trips, history, character and plenty of sporting activities like rafting, canoeing, cycling, zip wiring, kayaking, paddle boarding & rock climbing. 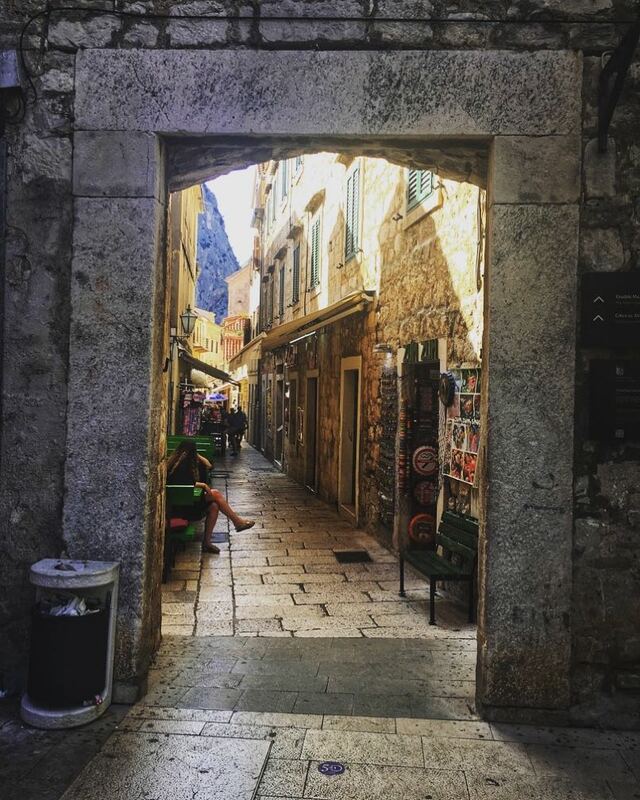 Of course, you also have the sparkling Adriatic sea and beaches. It’s a shame though that the beaches are made up of grit which can make them look a bit drab. 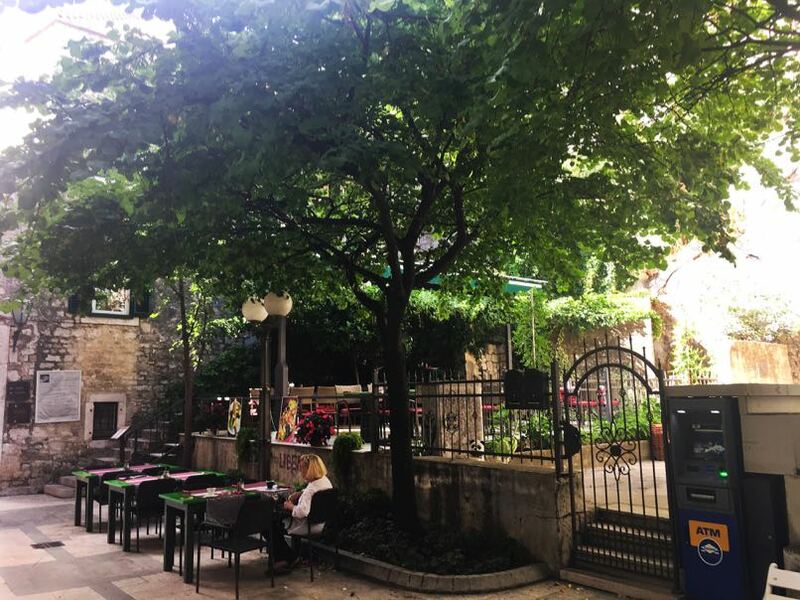 The restaurants in the traffic free side streets and alleys are more pleasant to sit at for coffee or a meal rather than the ones on the main highroad as the traffic can be a bit noisy and I particularly dislike the car fumes. We spent a nice afternoon relaxing in St Michael’s square in the shade with a beer watching the tourists and locals walking by. We noticed that a lot of the shop owners sit in the shade at the bars outside of and across the street from their shop just popping back when they see a customer enter. It must be so boring for them waiting for customers when it’s out of season like this. At least outside they have the waiters and passing locals to chat to. From about 7 pm this area is really good to be in as it has a great buzz. 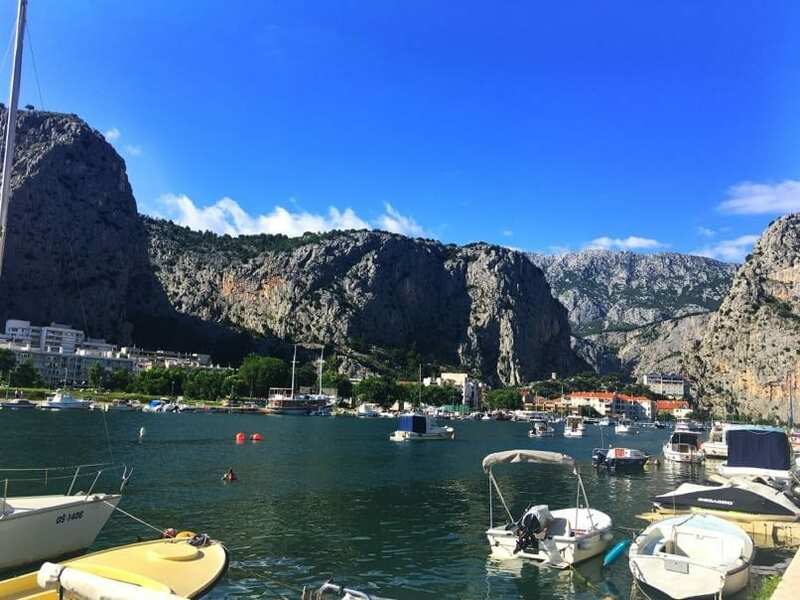 Omis has a morning fish market with a good selection of different fish and shellfish for sale. Caught from the sea every morning the produce looks and smells really fresh. A smell I find particularly alluring is from the brightly coloured fresh fruit and vegetables which are piled high on the stalls. The stalls that line the high street, on both sides, give off a deliciously sweet aroma of mixed fruits and an earthy smell of the vegetables. I loved looking at the many different colours and textures and spotting some fruits I’ve never seen before. We picked up a riverboat trip from the bridge in town for 80 kunas each which took us for a lovely scenic ride upstream for an hour through the Gorge. The boat stopped off at an old water mill which has now been turned into a restaurant. Unfortunately, we only had half an hour which wasn’t enough time to order and eat a meal so we settled for an ice cream and a wander around the area. 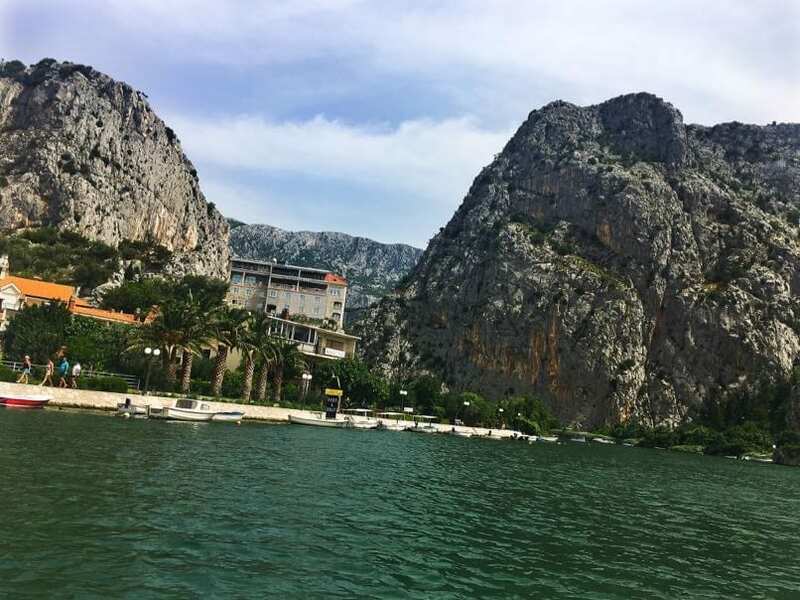 The trip back into Omis was downstream so a lot quicker taking only 30 minutes. 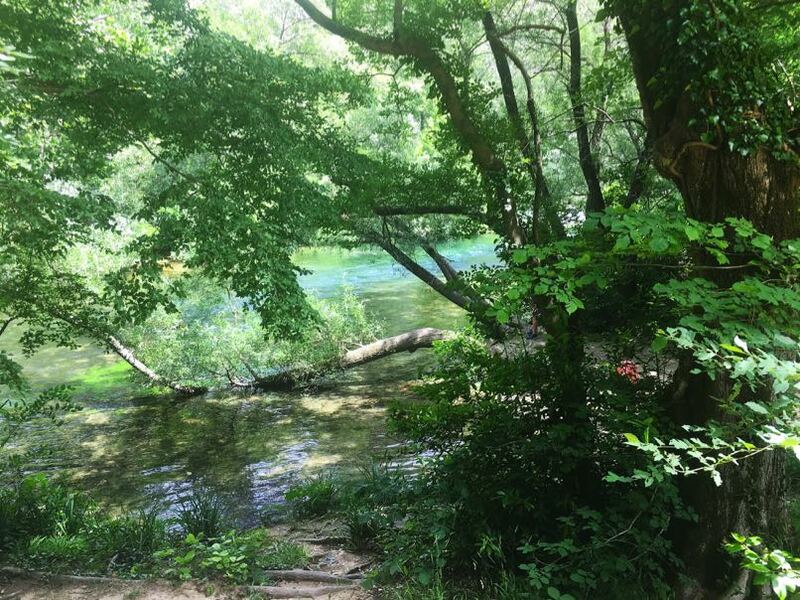 We particularly enjoyed this trip for the lovely cooling breeze on such a hot day and it was so peaceful and relaxing. From the boat, we saw people rock climbing and using the zip wire. If you prefer to go at your own pace up the river then there are also plenty of self-drive riverboats for hire from the bridge. 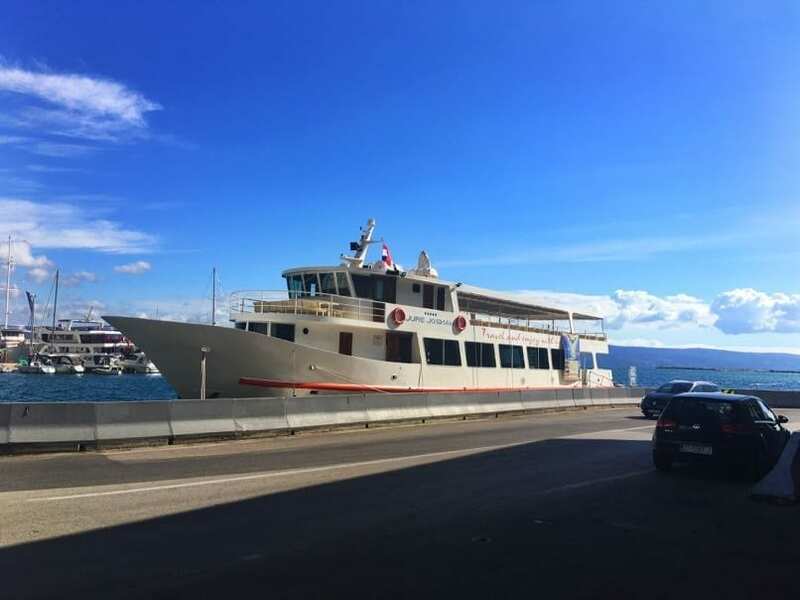 If you fancy something a bit longer you can take an all day sea boat trip to visit other islands We walked through the high street to the sea at the end and found a lovely looking boat with contoured seats and a nice seating area which would be very comfortable for a longer trip. 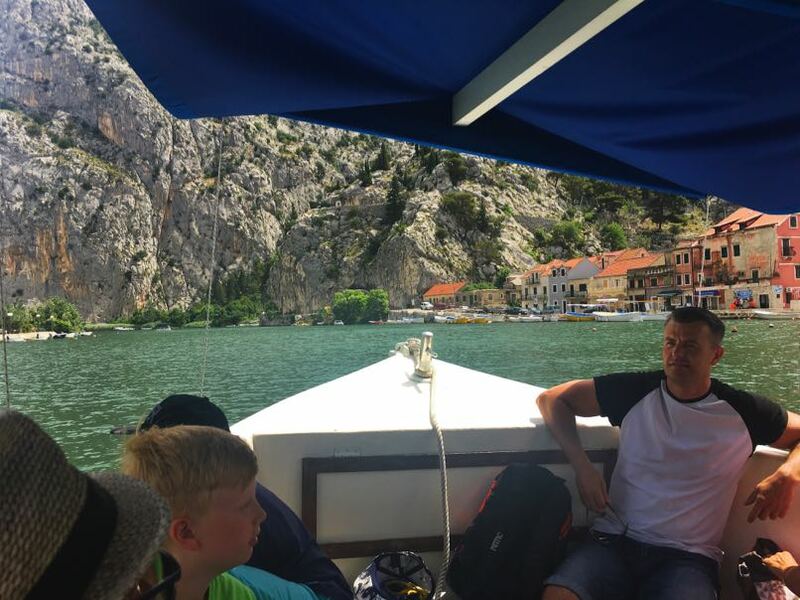 The boat sets off at 8.00pm in the morning dropping you off to three islands, Hvar, Bol and Brac returning to Omis at 6.30pm. Included in the price of approx £27 is coffee, grappa, as much wine as you want and a fish or chicken meal. 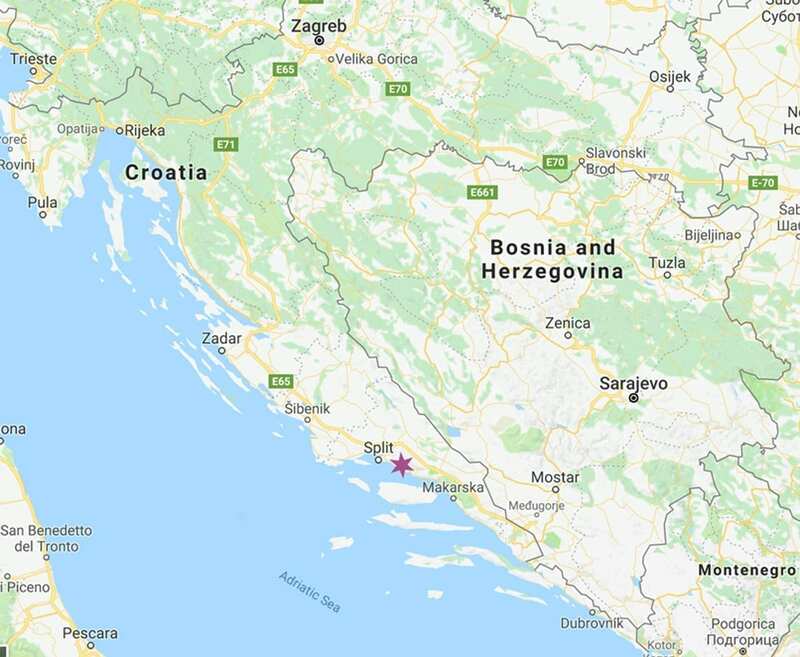 Omis can be easily reached from Split. Buses leave from the bus stop behind the central market (next to the Old Palace). 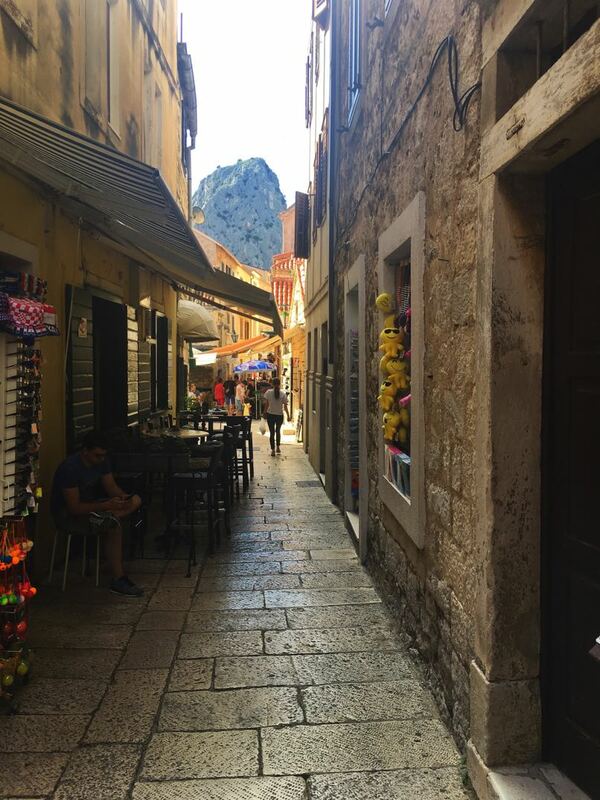 Two companies run this route and both run twice an hour so 4 buses per hour to Omis. 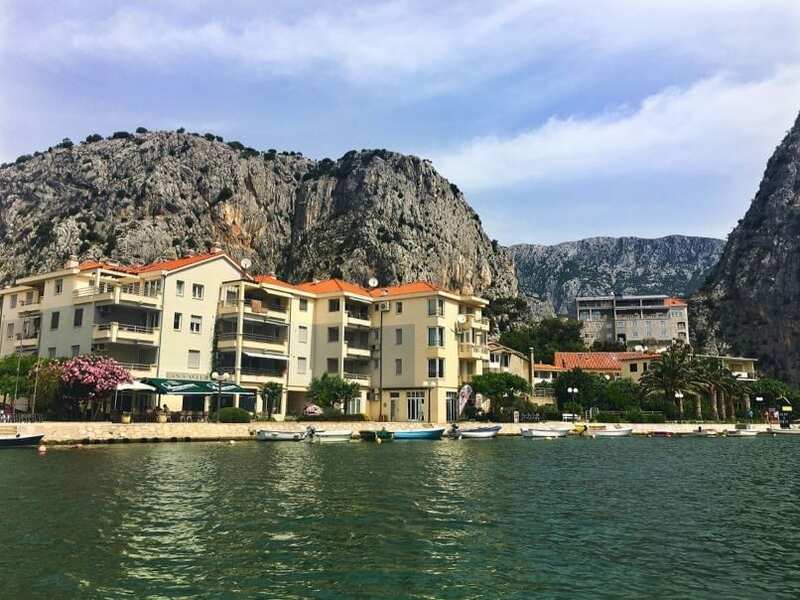 From Makarska to Omis there are plenty of bus connections year round, the travel time by bus is around 45 minutes along the coast road. Ensure you get a seat on the left side of the bus so that you can enjoy the scenic view. There are so many lovely places to visit along this coastline so we hired a car for a few days in order to explore more. We used our favourite company Rental Cars and used Insurance4carhire to top up the insurance. 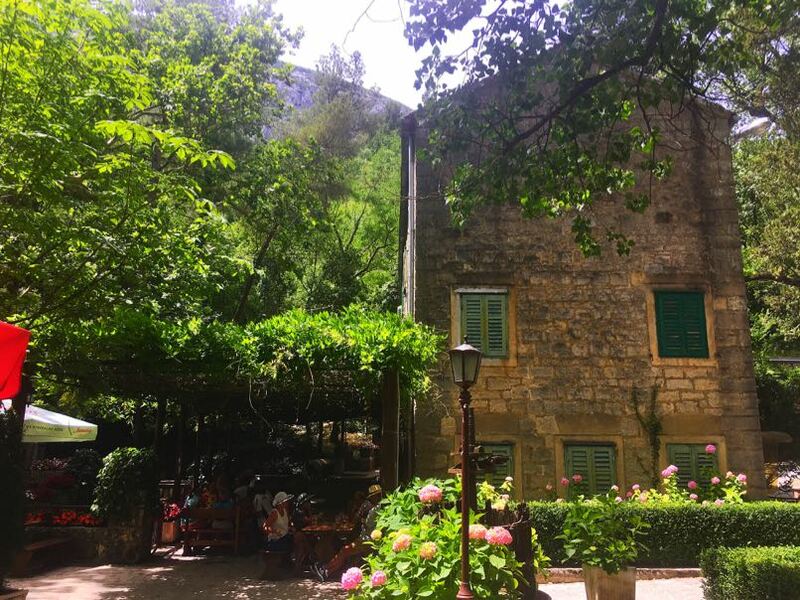 This family-run hotel is set next to the river, beach and the beautiful old town. The restaurant terrace overlooks the sea. There is a wellness centre that features a rooftop whirlpool where you can take in the wonderful views. The staff are friendly and helpful. 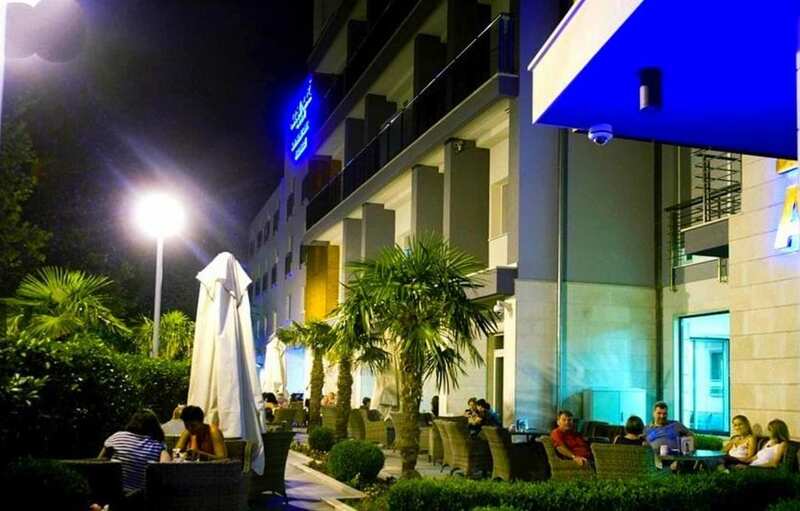 It’s a lovely clean and comfortable hotel. Excellent food – breakfast with a choice of continental to full English and plenty of selection for dinner. 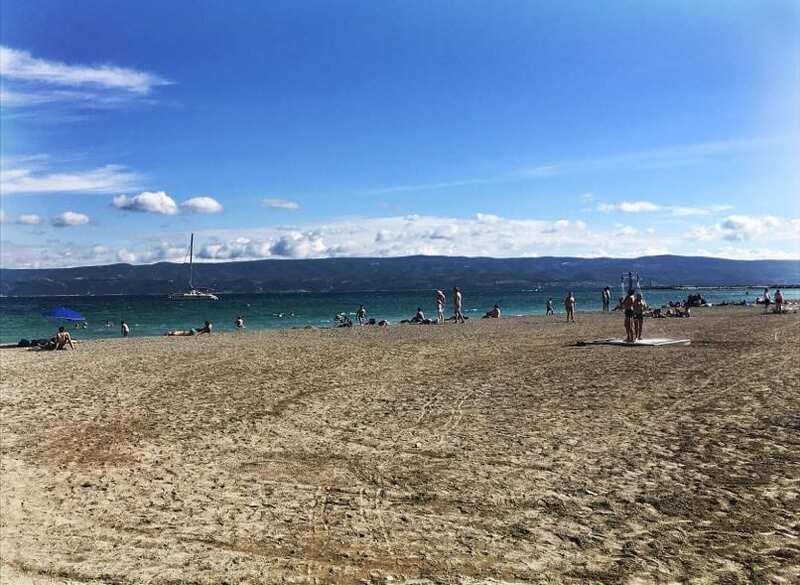 We stayed at Campsite Galeb (booked through ACSI) which is a lovely large campsite by the sea with a sandy beach. We found plenty of shade which we needed this year. 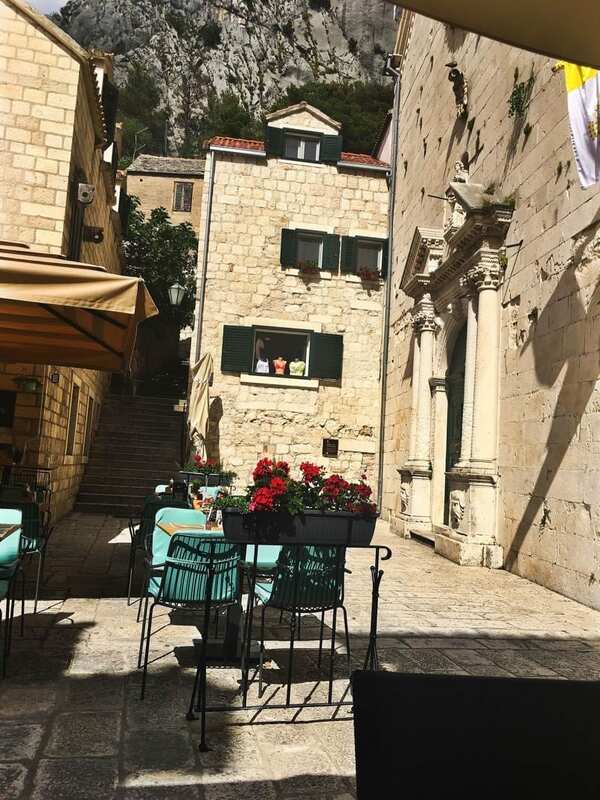 There is a supermarket just outside and it is a very short walk into the town of Omis so it is a perfect campsite. 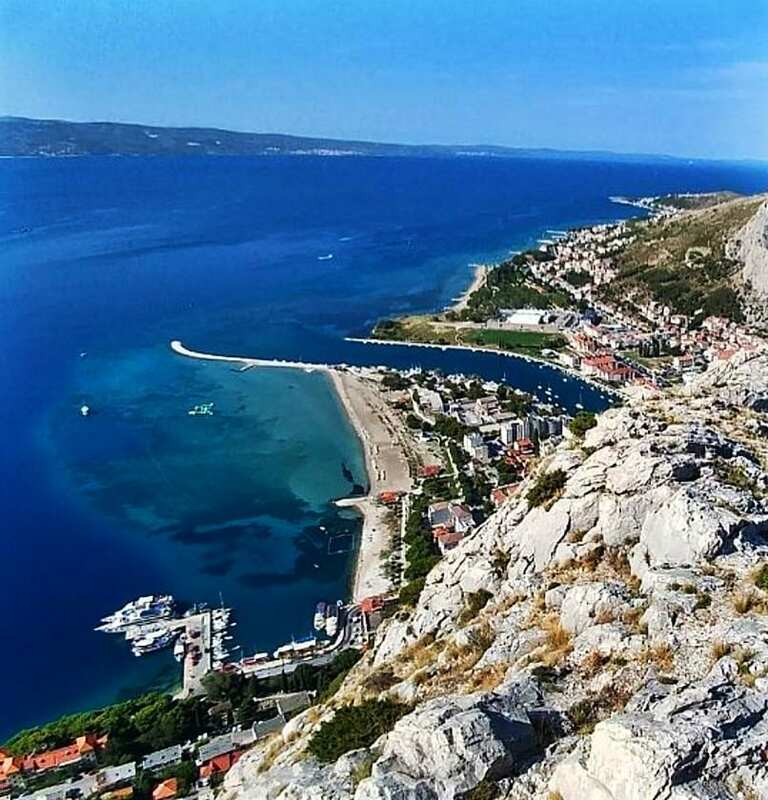 Omis is between Split and Makarska. See on map.